/Alternate Solutions /What is a hair inhibitor and how does it work? Hair growth inhibitors are products designed to help inhibit the growth of new hair, reducing the need for regular hair removal. Hair growth inhibitors are typically topical creams or sprays that make use of plant enzymes to interfere with hair’s natural growth cycles. The goal of hair growth inhibitors is an overall reduction in the thickness and rate of growth of new hair. The plant enzymes and chemicals found in hair inhibitors block the dermal papillae – where the hair begins to form underneath the skin. Chemicals, such as sulfur inhibitors, also work to change the structure of the hair follicles, weakening them. After a few weeks of using hair growth inhibitors, new hair growth is usually softer, finer, less visible and easier to manage. However, many users confuse hair growth inhibitors with a permanent hair removal solution. Hair growth inhibitors won’t produce noticeable hair reduction when used alone, as the fundamental aim of these products is not to remove or destroy existing hair, but to interfere with the development of new hair during its formation and initial growth phase. Currently, there are no hair growth inhibitors available on the market that can achieve permanent hair removal. By combining hair growth inhibitors with hair removal treatments, where hair is actually removed at the root (such as laser treatment, threading, sugaring, tweezing, or waxing), hair growth inhibitors actively weaken new hair when it first begins to grow, thereby reducing the need for frequent, regular hair removal. To get the best results, hair growth inhibitors need to be used on a regular basis and applied following the use of traditional hair removal techniques. This allows the solution to effectively penetrate the skin’s pores and reach the hair follicle directly. 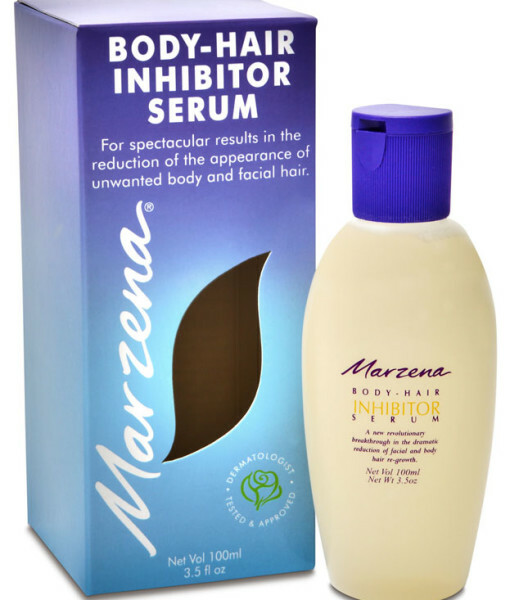 Due to most hair growth inhibitors’ active ingredients, it is important that use of a product be discontinued if any adverse side effects (such as a rash, increased skin sensitivity, and pain) become apparent. While the occurrence of these side effects may be rare, it’s not impossible. To help avoid this, follow treatment instructions exactly and don’t use hair growth inhibitors irritated, broken, or damaged skin.